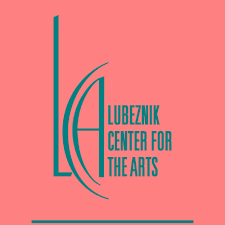 Lubeznik Center for the Arts’ summer class and workshop offerings for children, teens and adults are currently open for registration. Enjoy learning a new skill in a workshop or expand your technique in a six-week class. Offerings run from June 16 through August 10. Don’t delay because classes fill quickly. Register early to secure your spot because classes fill quickly. Six-week classes in painting and drawing are available this summer. For those who have conquered that class, and want to face a new challenge, LCA offers Abstract Painting II . Drawing Bootcamp facilitates students’ visionary skills and strategies when drawing from real life and photographs. And Watercolor Plus provides a relaxing environment for students to enhance their skills in both classic and contemporary techniques. Single-session workshops are available for those looking for some “me time”. LCA provides a variety of new classes for young artists (ages 7+). Choices include Street Art and Photography for Young Artists. Scholarships are available for Young Artists, funded in part by The Michigan City Public Art Committee ( MAC) and The Dolly Fund. 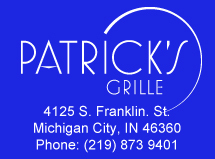 Apply online or call 219.874.4900 for more information. LCA also provides educational and creative summer camps for young artists from ages 8 to 13. Camps include STEAM Camp for innovators, experimenters and creators; POP! Art Camp which coincides with our summer exhibition Warhol: Icon & Influence; and LET’S CELEBRATE! Festivals Around the World. All camps include NEW EXTENDED HOURS from 9:00AM to 1:00PM for more fun and learning. To see a full listing of classes and to register for classes and camps please visit lubeznikcenter.org. Find their expert faculty under the “Instructor Bios” link under the “Education” drop-down menu. Join online or call 219.874.4900 and become an LCA Member to receive 10% off classes.